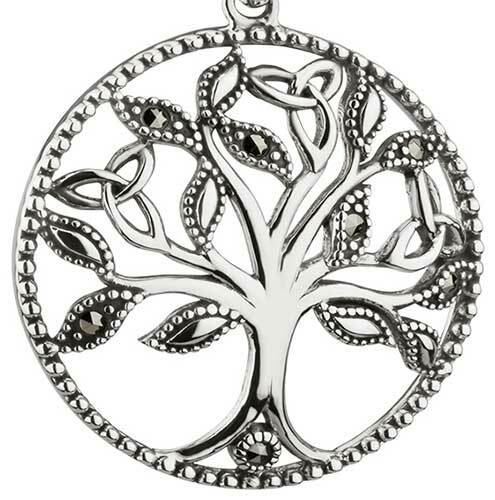 Tree of Life jewelry includes necklaces and earrings along with bracelets and charms. 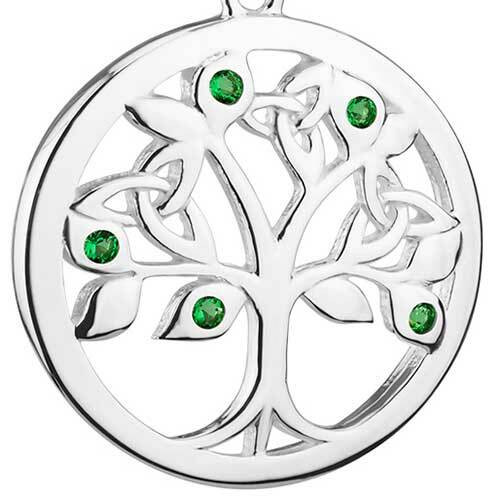 The Tree of Life symbol has been a part of Irish culture since the time of the ancient Celts. 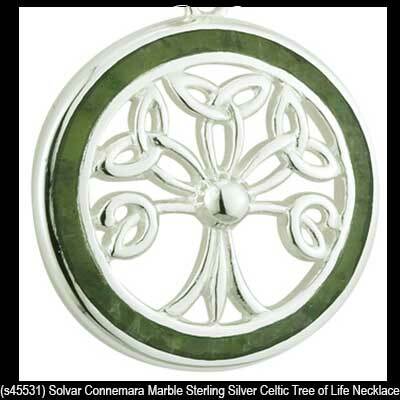 The ancient Celts believed that trees were the foundation of life and that they held mystical powers that represented balance and harmony. 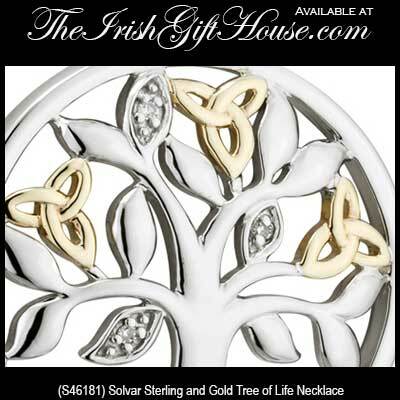 This collection of Celtic jewelry from The Irish Gift House features the Tree of Life and is available in sterling silver and gold along with pewter and plated designs. 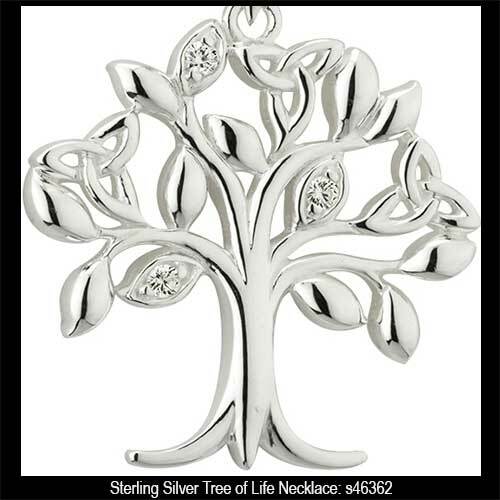 Tree of Life jewelry is grouped by design in the above specific categories or you may scroll down to see all our selections in one place. 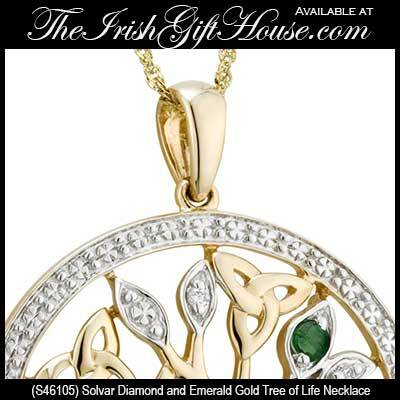 Tree of Life necklace is cast in 14K gold that features both emerald and diamond fruit along with Trinity knot leaves. 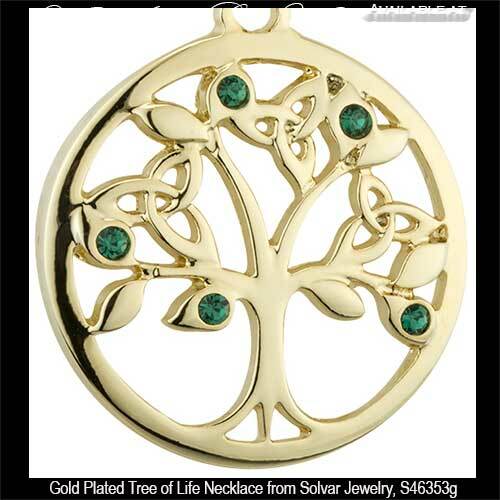 Tree of Life necklace features a two tone gold motif that is cast in 14K and is enhanced with an emerald in the center and Trinity knot leaves. 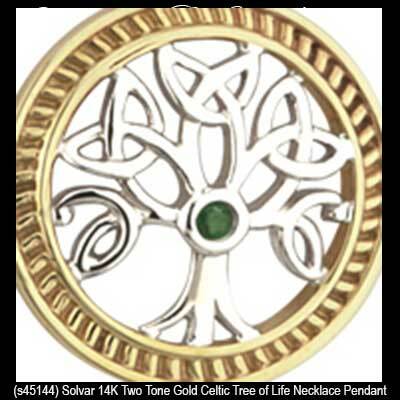 Tree of Life necklace is a 14K design that features a white gold center with a yellow gold rim; the necklace is enhanced with a green crystal and Trinity knot leaves. 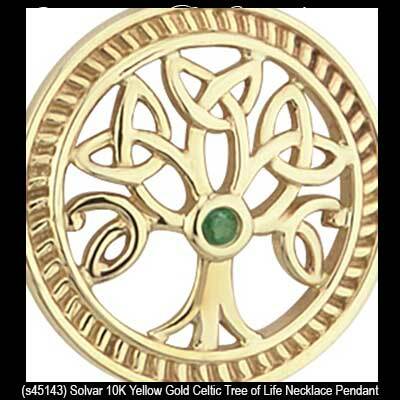 Tree of Life necklace is cast in 10K gold that is enhanced with a center emerald along with Trinity knot leaves. 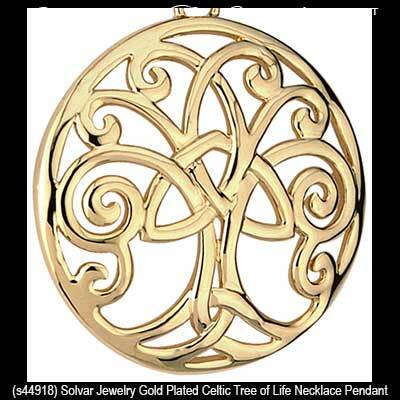 Tree of Life necklace features a white gold center with a yellow gold rim; the 14K design is enhance with Trinity knot leaves along with a puffed design. 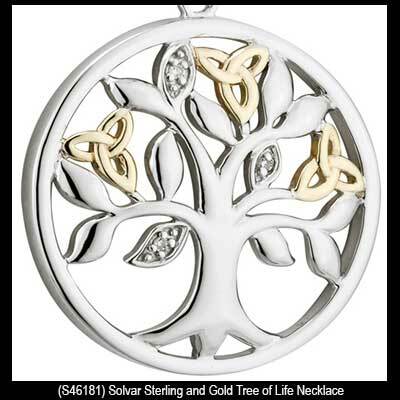 Sterling silver Tree of Life necklace features gold Trinity knot leaves along with diamond fruit. 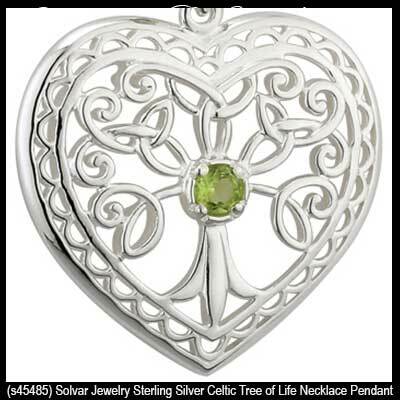 Sterling silver Tree of Life necklace features Trinity knot leaves along with a green peridot stone in the center. 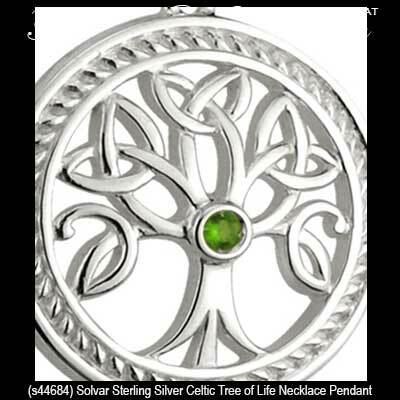 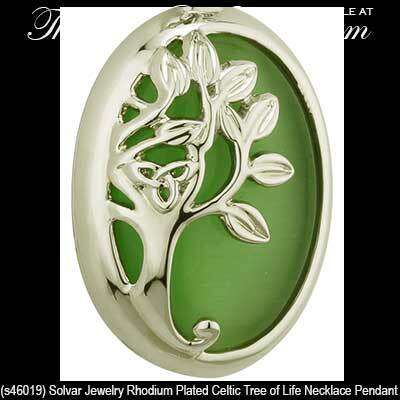 Tree of Life pendant is a sterling silver design that is enhanced with Trinity knots along with green glass stones. 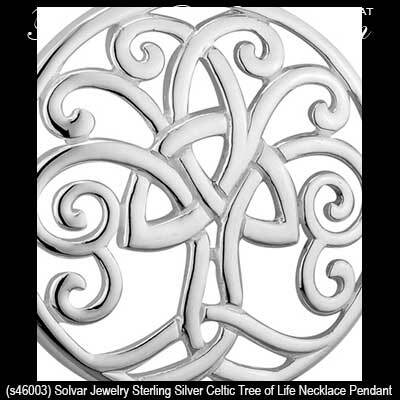 Tree of Life pendant is a sterling silver design that is enhanced with a Celtic Trinity knot in the center. 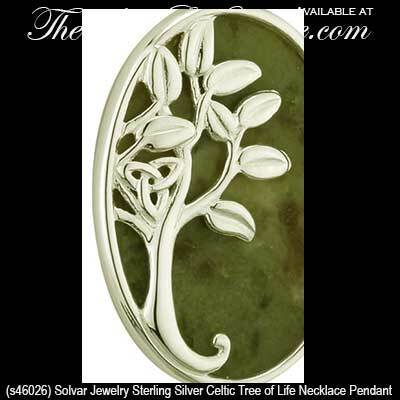 Tree of Life pendant is cast in sterling silver with a peridot stone set in the center. 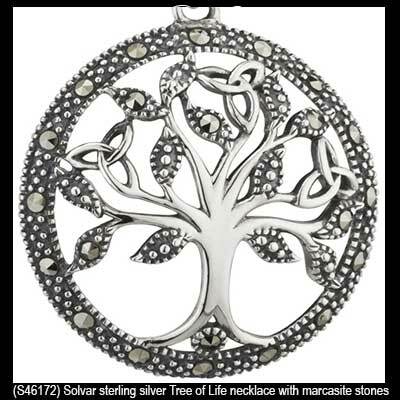 Sterling silver Tree of Life necklace is set with crystals and it also includes several Trinity knots in the Celtic design. 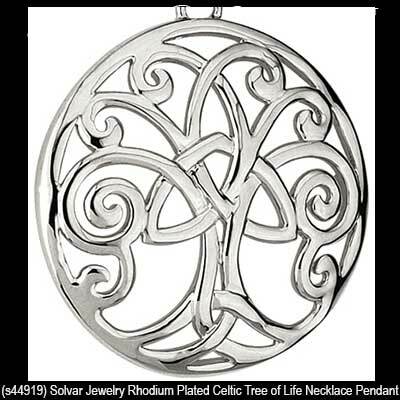 Tree of Life necklace is a rhodium plated design features a Celtic motif with a Trinity knot in the center. 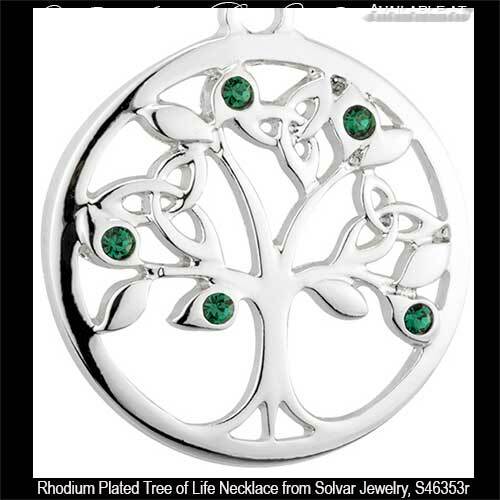 Tree of Life necklace is a rhodium plated design that features Trinity knot leaves along with green glass stones. 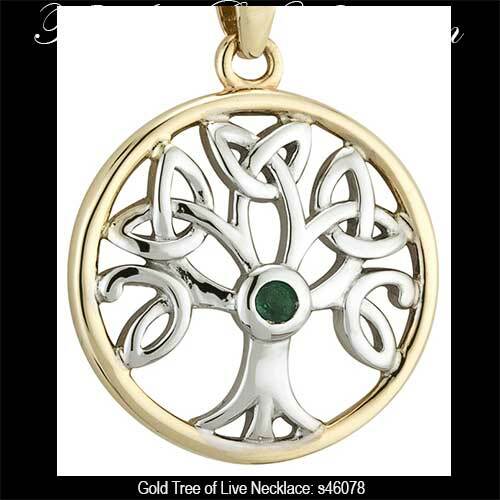 Gold plated Tree of Life necklace features Trinity knot leaves along with green glass stones. 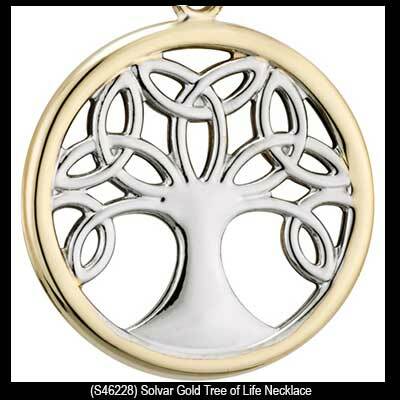 In the following pages you will find a great depth of Tree of Life necklaces as the styles range from the precious metals with genuine stones to less expensive plated designs. 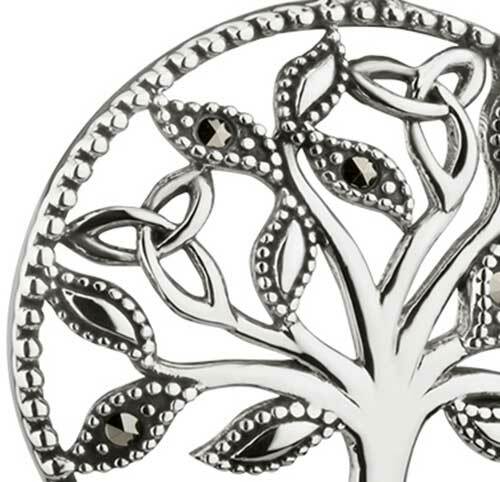 You may wish to add a pair of Tree of Life earrings and you may be amazed to see so many selections in one place; you will also notice that many pairs have an available matching necklace. 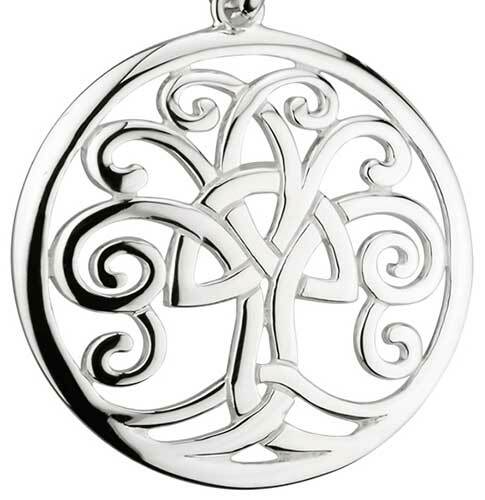 The Irish Gift House also has an assortment of Tree of Life bracelets and charms with this ancient Celtic symbol of your heritage. 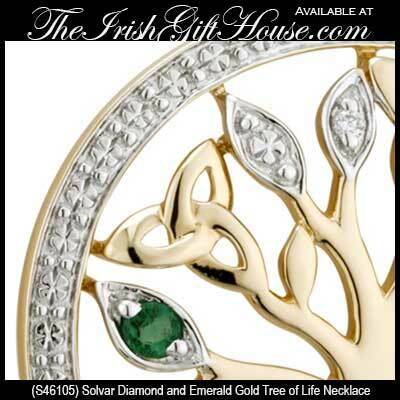 You may be pleasantly surprised to find that we also have an assortment of Tree of Life gifts that range from glasses to wall plaques with many additional items in between; you will find this section in our Irish Gifts for the Home category.